At Long Last... - Kuhlmann Leavitt, Inc.Kuhlmann Leavitt, Inc. The wait is over and the most visible change to the building has begun. 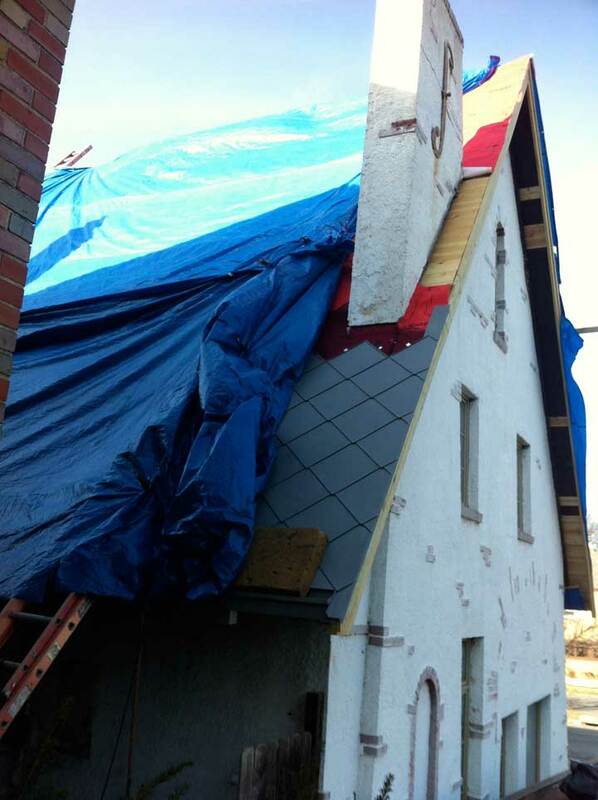 Last week the roofers started the process of laying the underlayment and then hanging the zinc shingles. So far so good! The back side of the roof is nearly complete and the front begins tomorrow. 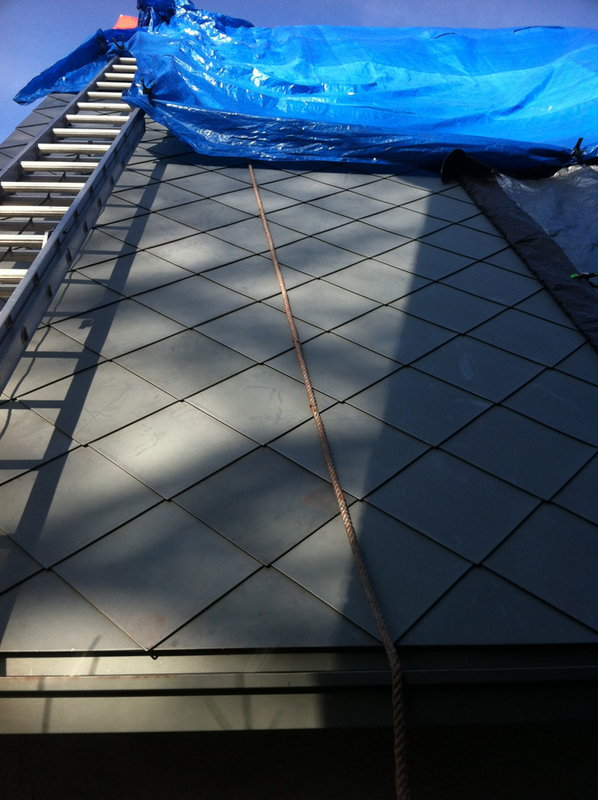 Once the shingles are on, the work to add solar panels to the South facing portion of the roof will commence. With any luck we just may move into the building this Spring! 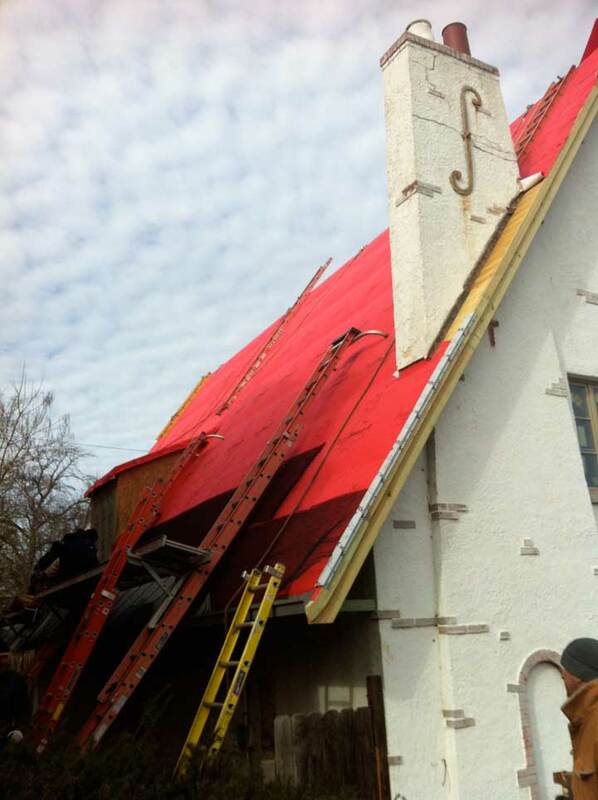 Here are some photos of the roof progress. Enjoy! Jealous is not a good thing, but its the only word coming to mind. Can’t wait to see the place complete! 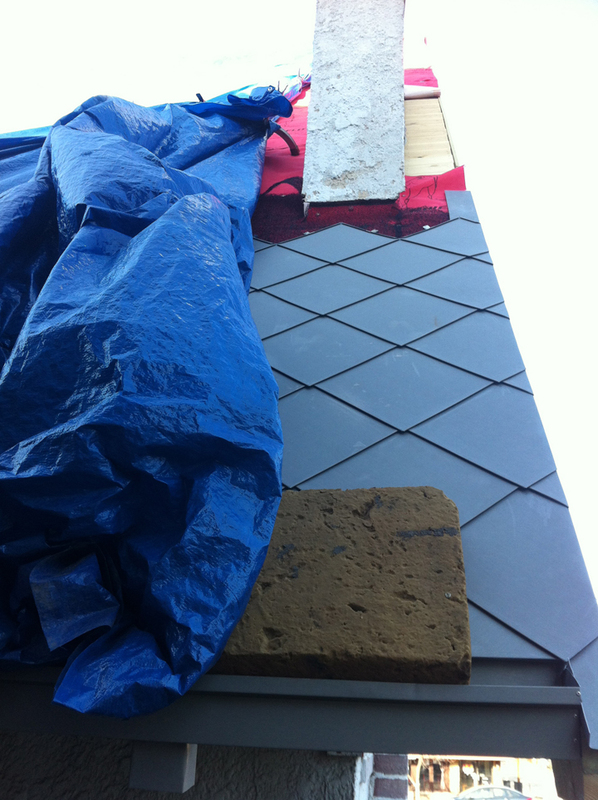 Love the zinc shingles. 29 January 2013, 9:35 am Kuhlmann Leavitt, Inc.
Love your note. Thanks Brady! its going to be SPECTACULAR! 29 January 2013, 7:54 pm Kuhlmann Leavitt, Inc. Looking forward to seeing you on our doorstep!!!!! 31 January 2013, 6:12 pm Tom P.
Wow – those look great Deanna! 31 January 2013, 6:41 pm Kuhlmann Leavitt, Inc. So, you paid out bonuses in Zinc tiles this year? Aeeiiii! Those look trop cher, dear, dear! Beauty knows no pain. Love you Matt! Employees got bonuses, but our kids will not be going to college!